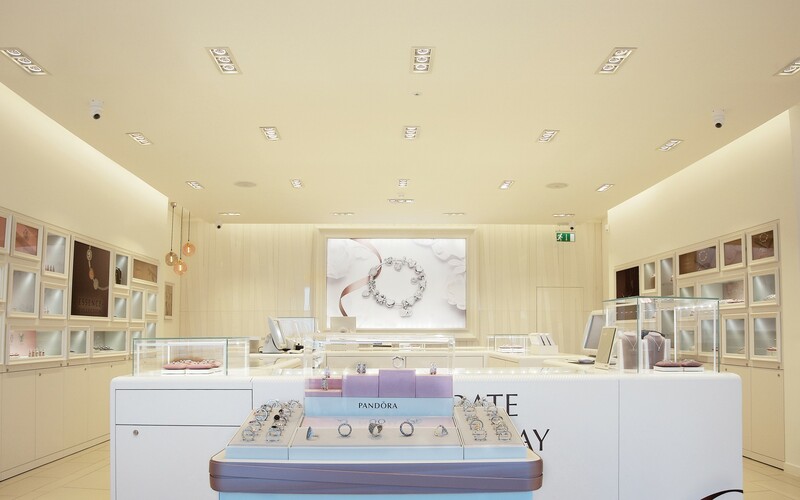 Pandora Jewelry used Multi downlights to cut energy usage at its outlet in Hereford, UK, all while adding sparkle to its merchandise. 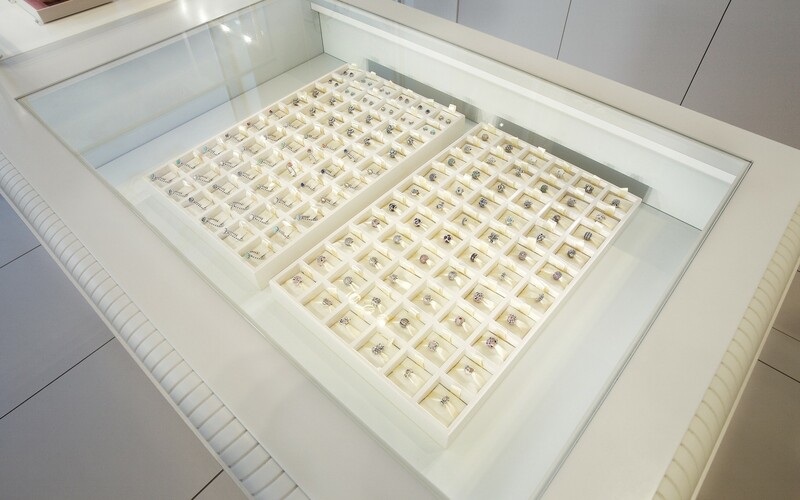 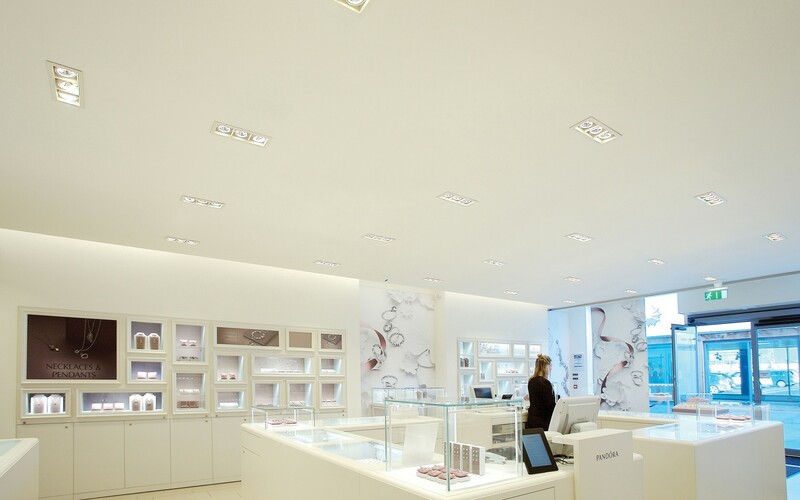 To help the BREEAM (Building Research Establishment Environmental Assessment Methodology) score at their Hereford, UK, store, Pandora Jewelry needed to implement a more energy-efficient lighting scheme. 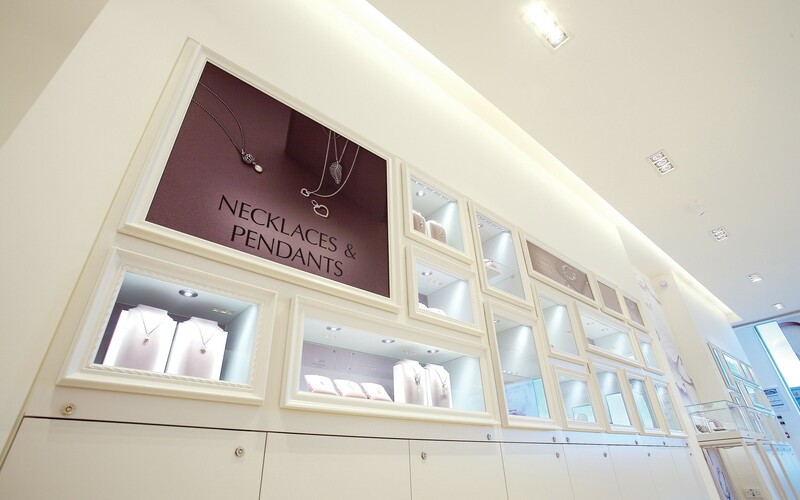 But how do you do that while still bringing out the best in the chain's famed jewelry? 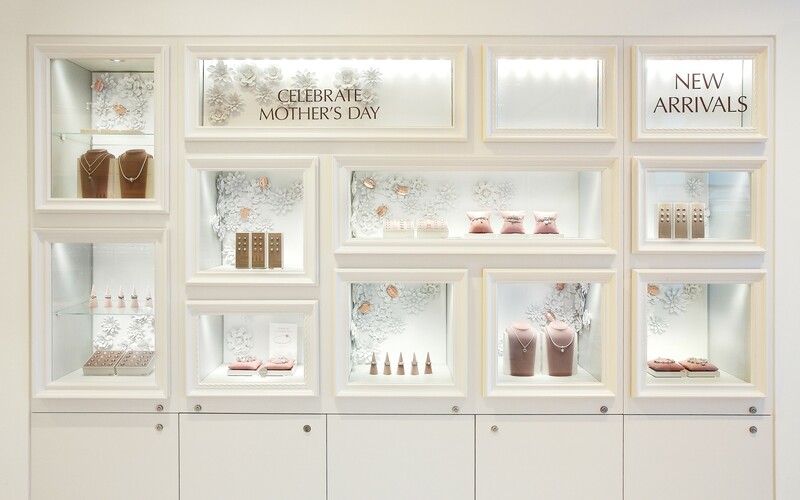 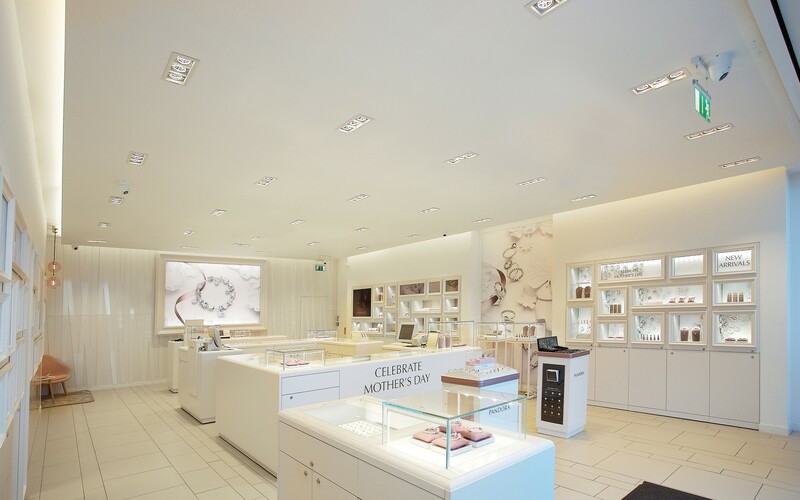 Pandora chose to replace the store's Ceramic Metal Halide (CDM) lamps with Multi Downlights in 3000K. 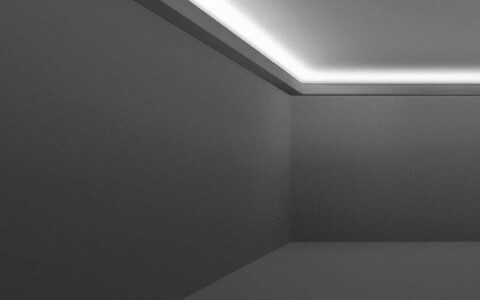 The swap reduced wattage per lamp from 20W to 11.7W, resulting in a 47% decrease in energy consumption. 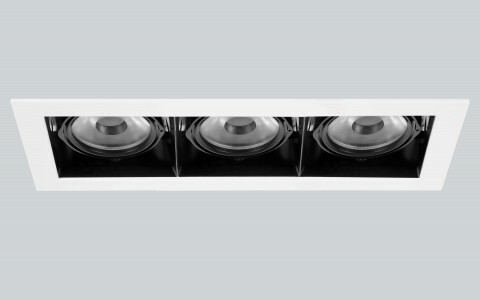 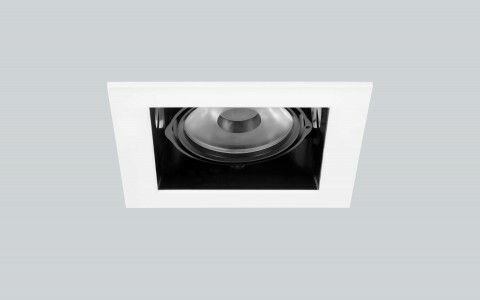 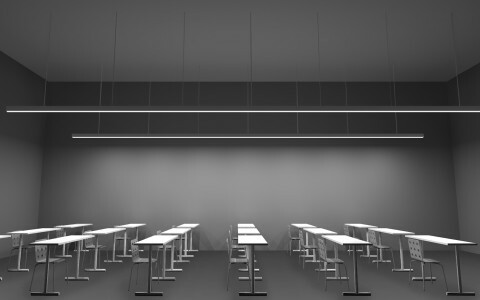 The Multi Downlights also last roughly four times as long as traditional CDM lamps, eliminating costly and labor-intensive annual relamping and maintenance - all while ensuring a consistently high quality of light over its lifetime. 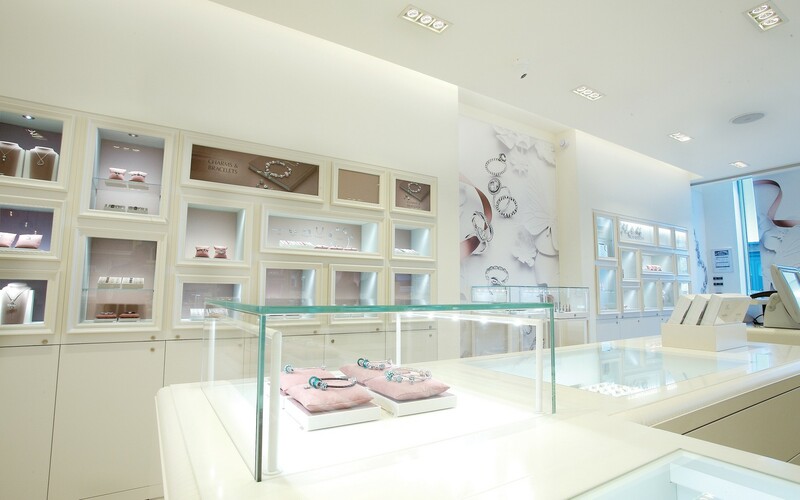 Installed in linear lines across the ceiling, the luminaires provide bright general lighting with exceptional color rendering (CRI of 80+), creating a warm, luxurious ambiance and giving Pandora's merchandise the sparkle it deserves.